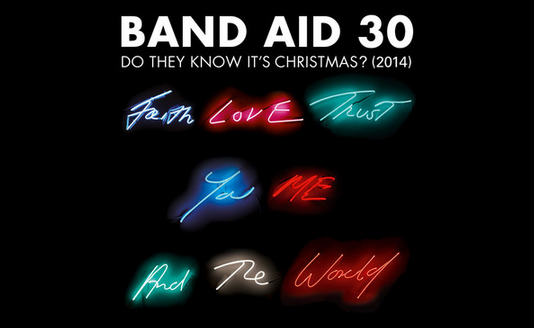 So by now, I’m pretty certain the world knows Band Aid 30 recorded “Do They Know it’s Christmas” on Saturday. I heard rumblings of the recording over the weekend and decided to leave it until this morning before giving it a fair listen. As purely an aside, we have a radio station here in LA (KOST 103.5) that is already playing Christmas music. It’s really not Christmas yet. isn’t horrible. It shouldn’t be, because it had already been done once….twice…, ok three times prior. It is; however, incredibly subdued compared to the original. I suppose that was the intention given the reason for it’s being revisited. I can’t really argue with the reasoning behind the rerecording, except that if someone really wanted to help the cause, wouldn’t they have just written a new song? I think the cause – fundraising to help with the Ebola crisis in West Africa – is very important. Panicking at home, where ever “home” might be, is not going to help. Stopping the disease at it’s source is the right way. Donating to Doctors Without Borders, or to any number of the other agencies sending teams of healthcare workers to the area would be appropriate responses. Rehashing a song from the 80s with “current” artists, changing up a few lines as well as the rhythm and believing it’ll sell on hype alone seems a little disingenuous, to be honest, and certainly not because Duran Duran or many of the other artists were not asked or chose not to participate. This is not a case of “sour grapes” (the idea is laughable) because my favorites or your favorites are not on the record. The cause is absolutely paramount; but if it is really all about Ebola, then why not give it it’s own song? Isn’t the cause worth the effort? No one, least of all me, is arguing that something shouldn’t be done. (Although I will argue the sentiments some have – that the song is all about stopping Ebola from coming specifically to Britain – is way off key. The goal is to eradicate the disease, to stop it in it’s tracks, so that the entire world benefits.) I just tend to believe that the idea would have had much better traction had it not felt like an afterthought based on an idea that didn’t really work all THAT well before. Yes, the record sold millions; yes, the artists involved became even more popular; and yes, we can all recite the words from memory and squee each time we hear it on the radio at Christmastime…but it didn’t save Africa from starving. We still fail miserably at feeding the world. The original song was joyous. It went over well as a Christmas song because while the subject matter was and still is serious, the song gave a feeling of hope. Who did not belt out the chorus when they’d see the video on TV or hear it on the radio?? We believed that buying that record would help someone. As a teenager in 1984, I felt good knowing that as young as I was, buying that record made a difference. Simply purchasing music had the potential to bring good to the world. The verses and chorus of the song had that spirit of goodwill, hope, renewal and joy. This version is much different. Ebola kills so many. It is a horrible disease. There’s one line of the song about how a baby’s tear can kill. That’s an incredibly powerful, and sad line. In a Christmas song. How can that be made hopeful and joyous? I just know that every single time I hear this version, I’m going to think about that baby’s tear. Heartbreaking. I’m not saying the song won’t sell. My UK friends continue to say the song will hit number one in the UK. One thing it will never do though, is rewrite history. It simply cannot. It cannot fully embody the groundbreaking feeling we all had, listener and artist alike, when the first “Do They Know It’s Christmas” came out in 1984. There is no way to capitalize on that, and there is no way to outdo the first…which should have never been the goal, but somehow, choosing to remake the original only does just that. Bottom line: if you like the song, buy it. But, if you want to really make a difference, donate generously to Doctors Without Borders or any of the other organizations that send healthcare personnel, supplies, etc to West Africa to do the things that you and I might never be willing to do ourselves. Either way, the point is donating to the cause. In the meantime, I still smile every single time I hear the 1984 version of “Do They Know It’s Christmas” on the radio, and I don’t think that will ever change, regardless of how many remakes Sir Bob organizes. That alone should speak volumes. On today’s date in 1984, From Britain with Love – The Continuing British Invasion, featured Hungry Like the Wolf. From Britain With Love was a radio show vinyl album collection of 12-LPs. It was licensed for broadcast on the ABC Rock Radio network (in the US) on this date in 1984, and as you may have guessed – it was a 12-hour show. I don’t personally remember anything hearing about this, and so I have to guess I didn’t listen in. Anyone out there remember this radio program? Today in Duran History – Bananas! Sometimes our notes for the Day in Duran History are just flat out silly sounding. Take today for instance…on today’s date in 1984, Duran Duran lip synched The Reflex on a German TV show called “Bananas”. Wanna see the performance? Of course you do! I was astounded that I found it so easily on YouTube. This just reiterates what I’ve always thought about YouTube…you can find ANYTHING on there. Enjoy some Thursday Eye Candy, thanks to YouTube! On today’s date in 1984, The Reflex hit the glorious spot of #1 in the UK. Truth be told, this is one of those Mondays when I couldn’t decide if the historical waypoint should be about The Reflex hitting number one, or if we should celebrate that on this date in the year 2000, The Flintstones: Viva Rock Vegas with John Taylor was released. Come on…who doesn’t want to start their Monday with that?? On today’s date in 1993, Duran Duran played the Durban Expo Centre in Durban, South Africa. This is not an area of the world where the band tours often…so I have to ask, did any of our readers attend?? Also on this date in 1984, The Reflex reached it’s peak of #1 in the US!! Not too shabby for a little band from Birmingham…. Today in Duran History – The Reflex! If you’re a Duranie and you have a heartbeat (which is likely since you’re reading), chances are, you already KNOW what today is in Duran history. If you’ve been on Twitter or Facebook this week, you should know this, but I’m not into Pop (Ha ha, I made a funny) Quizzes, so I will spill: on today’s date in 1984, The Reflex was released. Thirty years ago, people. Thirty years. Now, I’m not saying you’re getting old or anything, particularly if you weren’t around to hear The Reflex on the radio the day it was released…but I was. So….there’s that. Happy days!! I can remember hearing The Reflex on the radio in 1984, but it really wasn’t until I was in marching band in about October of 1984 that other kids in band started telling me about the song. I would patiently stand there, listen, and roll my eyes back into my head when they would say it was new…because by then it was SO six months ago…but that Nile Rodgers remix did something special with it, and I can remember friends, even friends who *gasp* were not into Duran Duran, thinking it was cool. Because it was. Maybe it wasn’t the best DD song ever written, maybe it was. One thing is certain: there was something special there…and here we are thirty years later. On today’s date back in good old 1984, Duran Duran played at the Spectrum in Philadelphia. Were you there?? I must admit, that is one tour I completely missed – and not by choice, but because I had overprotective parents. I’ve spent my fair share of moments wondering what it must have been like among the screaming crowd on that tour. Even if I’d been able to go to any of the shows, I would have likely been in the back – one of my closest friends went to the show at the LA Forum and she sat in the very back row. I can remember running my fingers longingly across the ticket stub she had pinned to her wall, wishing that I had a stub of my own on my brag board at home. She would proudly say that while it’s true she sat in the last row, she was still there and I was not. Fair enough. I will never know what it was like to see the band during their most popular years. For as long as I’ve been a fan, I don’t know what it really sounded like to be in that kind of an audience. Then again, when I go to shows now – I can actually HEAR the band. Bonus?? Speaking of the 1984 tour, the Daily Duranie inbox received a request! Is there anyone out there (see what I did there?) who was present for the Jacksonville (Florida) Coliseum DD show on March 25th, 1984? If so – we have a fellow blogger that is looking for YOU, your stories and your mementos from the show. Gigs Reflex is a blog dedicated to first concert experiences from fans just like us, and they are doing a blog post on this very Duran Duran show in Jacksonville Florida in 1984. The blog will run on March 25th – the anniversary of that show – so if you were there and wish to have your stories , anecdotes or say, ticket stubs, t-shirts etc. included: Email Gigs Reflex. They would like submissions by Sunday, March 16, so go, go, go! My friend Jessica will love (too strong a word, maybe??) me for pointing out that on today’s date in 1984, parts of The Reflex were filmed. I won’t lie. I LIKE the video for The Reflex. I always imagined what I might have been like in that audience. (I’d have lost my teenage mind, I’m sure) I wonder what it was like to be in the arena, knowing that if you were anywhere near the front – you’d be seen in a DD video for all eternity. I can certainly think of worse things! And then there’s John Taylor, all up on stage and cute in his red/silver/white jacket/shirt/I-really-don’t-know-what-to-call-it up there with his bleached bangs and cheekbones, alongside Simon and Andy, with Nick and Roger towards the back but still ever-present. I still like the video. How could I not? As you all know, we post a “Today in Duran Duran History” fact on here, on our facebook and on our twitter. It made sense to add this since we are “daily” in our posting. Plus, I love acknowledging events of the past. I suspect this might be the historian in me who has always loved the story of history. The fan in me has always loved the Duran story as well. I think many/most/all of us could probably describe the story of Duran Duran, at least in general terms. Some of us would include more details than others but I suspect that the framework would all be basically the same. Anyway, this historian/fan historian (maybe that should be my dream job!) not only acknowledges the history of the band but acknowledges her own history as a Duranie. After all, we all have a story to tell about our lives as fans. 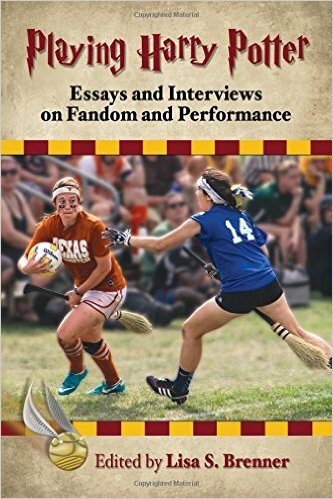 In my research on fandom, over and over again, I see that when most fans reach out to make connections with other fans, they discuss their fan histories, so to speak. When fans introduce themselves, it is common for them to discuss how long they have been fans and what made them become fans. Fandom research refers to this sharing of one’s beginnings in a fandom as one’s coming out story. I suspect that there will be a great deal of sharing of coming out stories at the convention. I hope there will be as I never get sick of hearing/reading about others’ stories about when and why and how they became fans! This week, my personal “Today in Duran History” saw my Duranie anniversary pass by as April 16th, 1984, is the day I mark my beginning as a Duranie. Why April 16th? It is the day that a certain single was released. What song? The Reflex. It isn’t even my favorite song now but it was so dang important in 1984. Had I heard Duran Duran before that? Of course. I lived in the Chicago suburbs then, which meant that I listened to B96 (Top 40) and watched MTV. I remember Hungry like the Wolf playing on MTV. I also remember watching their performance on MTV’s New Year’s Eve in 1982 at my cousin’s house. I knew that it seemed cool to like them (at least among my older cousins). I started inching towards being a Duranie when Save a Prayer got in my head and I couldn’t get it out to save my life. I have a very vivid memory of singing it over and over again late one afternoon as I hung out in my backyard with my best friend at the time. It was okay, though, because she liked the song, too. Soon enough, though, Seven and the Ragged Tiger came out and my best friend and I were spending more and more time watching MTV or spending the night at each other’s houses on Friday nights so that we could stay up to watch Friday Night Videos. At that time, Duran was on constant rotation and certainly the Reflex got played over and over and over and over and over. We probably saw it thousands of times and that was just in 1984. To say that we became addicted is an understatement. We were so addicted, in fact, that I remember how we would call each other up each and every time it aired. I remember so many times that I would call her while I was setting the table for dinner as the small black and white TV in the kitchen showed the video. What was it about the song and/or the video? I remember trying to analyze the lyrics with my friend. We couldn’t figure it out, which we liked. It seemed different and made us feel a little smarter. The video, on the other hand, was all about John Taylor. While we thought everyone looked good in the video, John caught our attention and hasn’t freed me yet. That look of his in that video is pretty famous with the blonde bangs, the leather pants, the white jazz shoes. Perhaps, more importantly, the way he looked into the camera felt like he was looking right at us. Another element of the video that I remember focusing on was the crowd. The images of the fans looking cool, rocking out and screaming for the band burned in my head. The desire to go to a show was born in that video. Obviously, that still lives on with me to this day as well. The bigger issue, though, was that it was something I shared with my best friend. We got excited together. We squeed together at those essential John Taylor moments. It created a bond. Interestingly enough, our brand new fandom put us against the common grain where we lived. At that time, Michael Jackson was the be all and end all. Break dancing was common and Duran Duran was made fun of on a daily basis at lunch. My friend and I spent our time at school defending Duran Duran. By the time We Are the World came out, I was ready to declare war. I kept trying, with no luck, to explain that this American song had copied the idea from Band-Aid. The kids at school wouldn’t hear it. I tried everything I could to prove that Duran was better. No luck. By the fall of 1985, I had moved to a new town. This small town, unlike the suburbs, had no MTV and no Top 40 radio. The kids didn’t know who Duran was and certainly didn’t care to find out. My reaction to all of this was simple. I held on to my fandom and wouldn’t let go. While I’m absolutely sure that part of this was my love of the band, part of it was my need to cling to my old home and to my best friend who I missed terribly. By 1986, I was ready for Notorious and tried to share my excitement with her once again. She had already moved on. Things had already changed. Yet, my fandom remained and continues to this day. Why does fandom live on? Anniversaries like this one make me think back to when I fell in love with Duran in the first place but they also make me think about why I stay. That’s the topic for tomorrow. Until then, I would love to hear your coming out as a fan story! When, why and how did you become a fan?